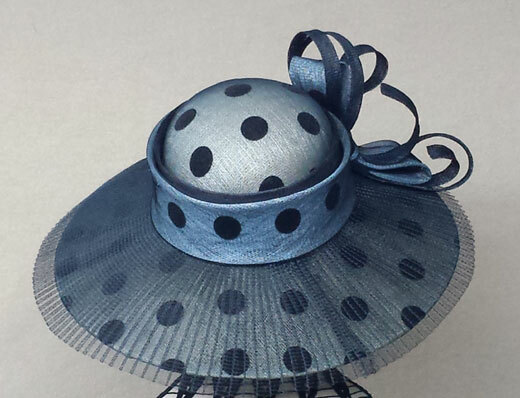 Made from 4 layers (that's a quality difference you won't find in many places) of light blue sinamay straw, covered with black velvet dotted tulle. 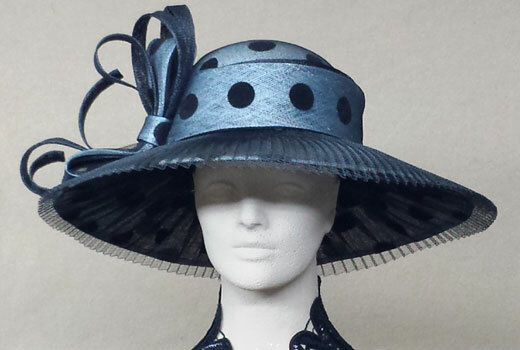 Brim, draped in black, pleated horsehair (don't be frightened... it's synthetic). 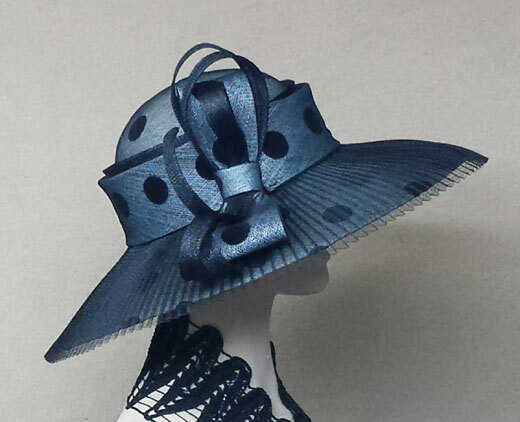 Adorned with hand sculpted black sinamay straw swirls. We know that these 4 layers ensures your hat stability and longevity yet it weighs just under 5 ounces! Cost a little more? Yes, but you're worth it!